ROCKFORD — The Village of Rockford Police Department recently received a $2,834 grant from the Ohio Law Enforcement Body Armor Program. This grant allows law enforcement to purchase body armor and related equipment for officers. Bullet-resistant vests have a shelf-life and need to be replaced regularly. This specific grant is a match grant that covered 75 percent of the costs. 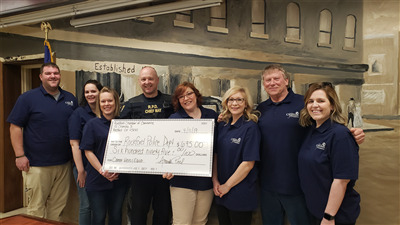 The Rockford Chamber of Commerce presented Chief Paul May with a donation of $695 from the Crime Awareness budget to complete the purchase of the carrier vests and related equipment to keep the Rockford Police Department safe.